In Richard Harris’ epic, evergreen pop song MacArthur’s Park the firebrand performer and songwriter sang about a relationship in these metaphorical terms, and I paraphrase, ‘I have made the perfect cake, but I left out in the rain, and it took so long to make it, and I’ll never have that recipe again’. I don’t know long he took to make it but American thespian Michael Bennett sure did come up with a wonderful recipe for a musical with his show which is currently having a revival care of So Popera Productions at the Illawarra Performing Arts Centre. This classic Broadway musical has a great storyline – we get the ‘inside stories’ of dancers auditioning for a new Broadway, along with a classic score by Marvin Hamlisch with lyrics by Edward Kleban which featured some lovely soulful songs such as What I Did For Lovewith some terrific dance numbers, especially the big Company numbers. There is even some dance routines thrown into the mix. Amy Copeland’s production is a real zinger and worth travelling the distance to, even if you don’t reside in the Illawarra. Copeland’s creative team- Music Director Peter Copeland, Choreographer Teegan McKean, Associate Choreographer Dane Sanderson and Costume Designer Sophie Rose King, each work together well to bring this show to life, along with producer Mal Copeland who made the show possible. Performances across the board were good. John Michael Burdon as Zach was suitably brusque and demanding in the role played by Michael Douglas in the movie. One of the show’s highlights was the scene between him and Cassie where their prior romance is revealed. Catrina Ralph has a solo show stopping scene where she dances in an exemplary way up and down stage with the number The Music And The Mirror. Which brings me to the dance hall mirror which spans across the stage. One particular scene reveals a full orchestra, led by Peter Copeland, playing beautifully behind the mirror, a quaint and no doubt very effective way of staging. Anastasia Feneri showcased a very pure voice with a very poignant rendition of What I Did For Love. Equally poignant was the scene where the number At the Ballet came to life performed by Michaela Neto as Sheila, Kimmie Jonceski as Bebe and Katherine Akele as Maggie. The show ran for a memorable two hours straight through. Bennett brings it all together with a fantastic, final Company number with top hats and tails in the best show business tradition. With plenty of Razzle dazzle as well as lots of heart, get your ticket to ride. 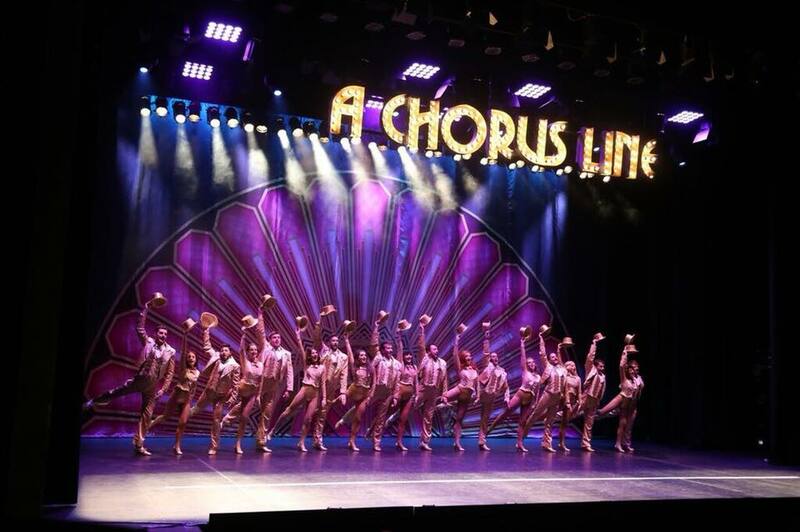 A CHORUS LINE is playing IPAC until Saturday 26th May 2018. 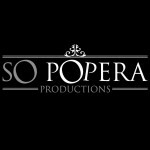 This enterprising Company’s next show is in January 2019 and will another classic musical, Singin In the Rain, again at IPAC.